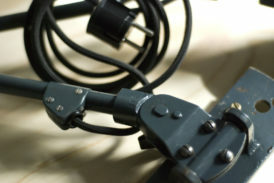 Midgard D.R.G.M. 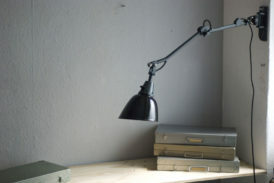 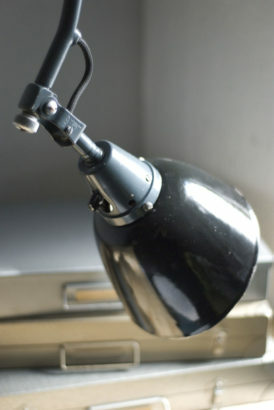 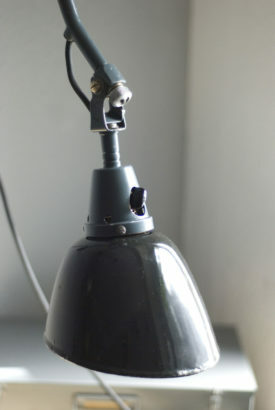 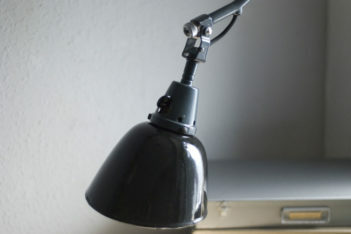 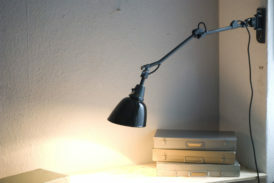 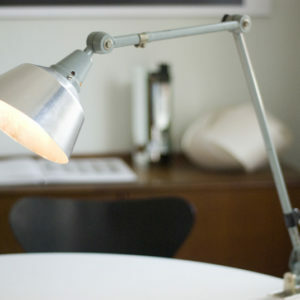 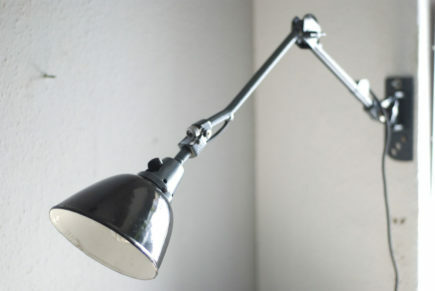 old petrol blue jointed lamp with enameled shade. 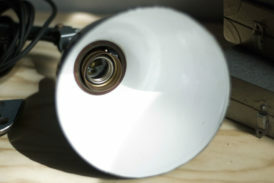 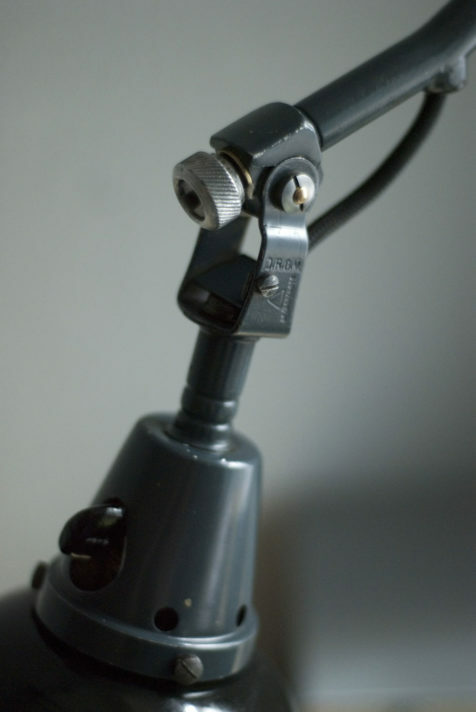 The light is operated by a rotary switch located on the bulb socket. 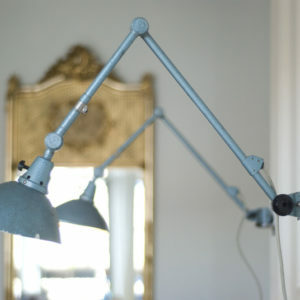 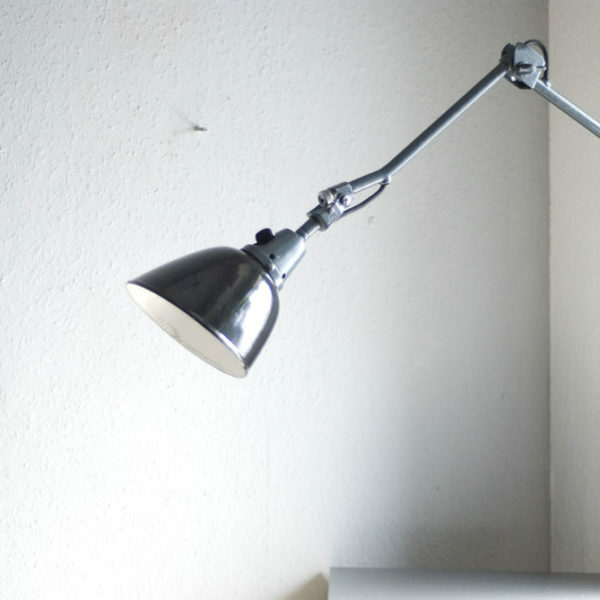 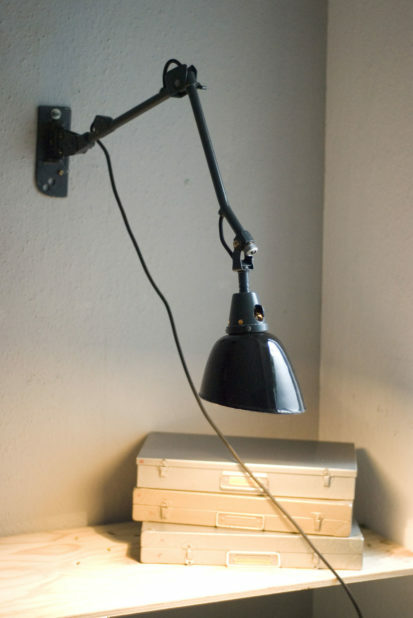 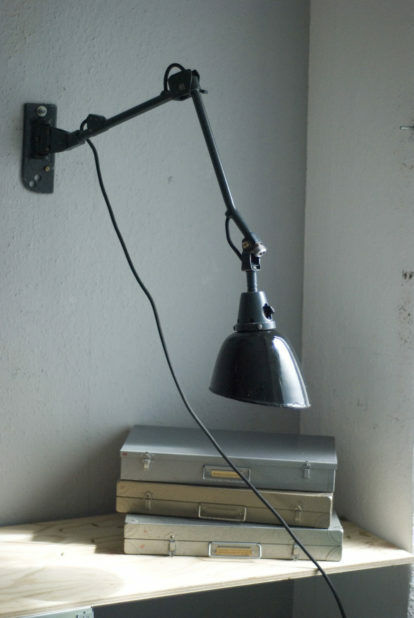 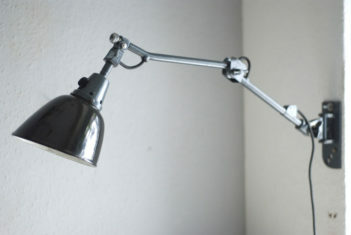 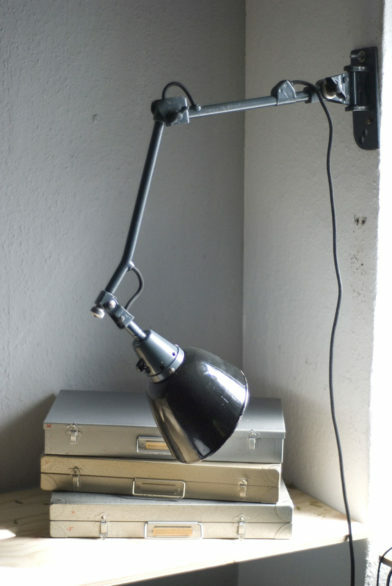 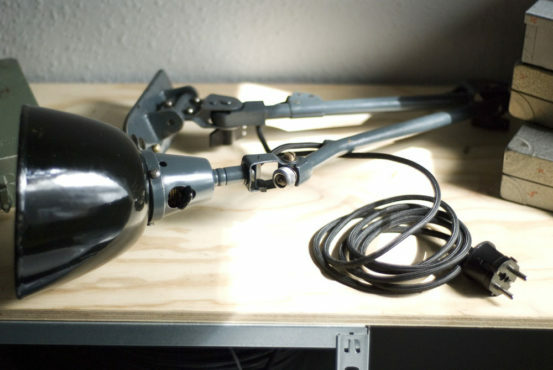 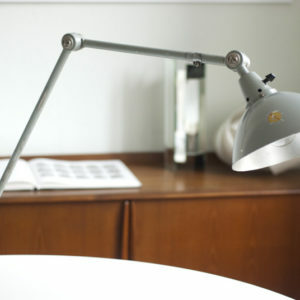 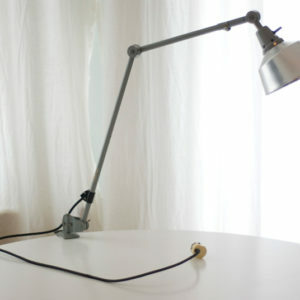 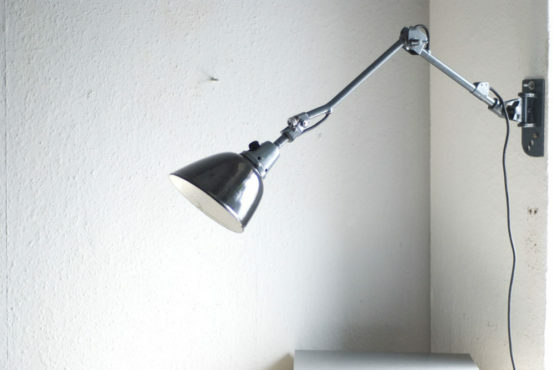 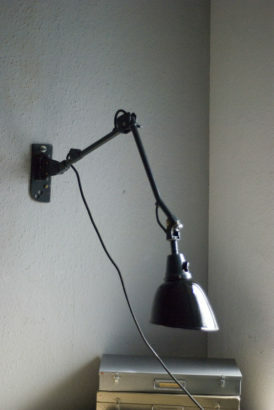 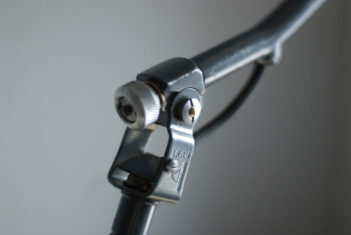 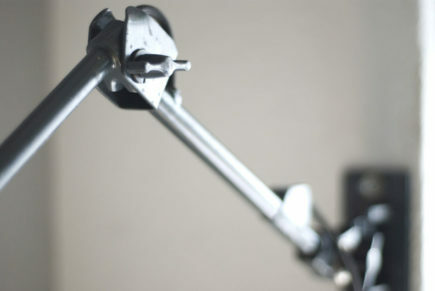 The lamp can be screwed at the wall with the wall-mount bracket and screws.